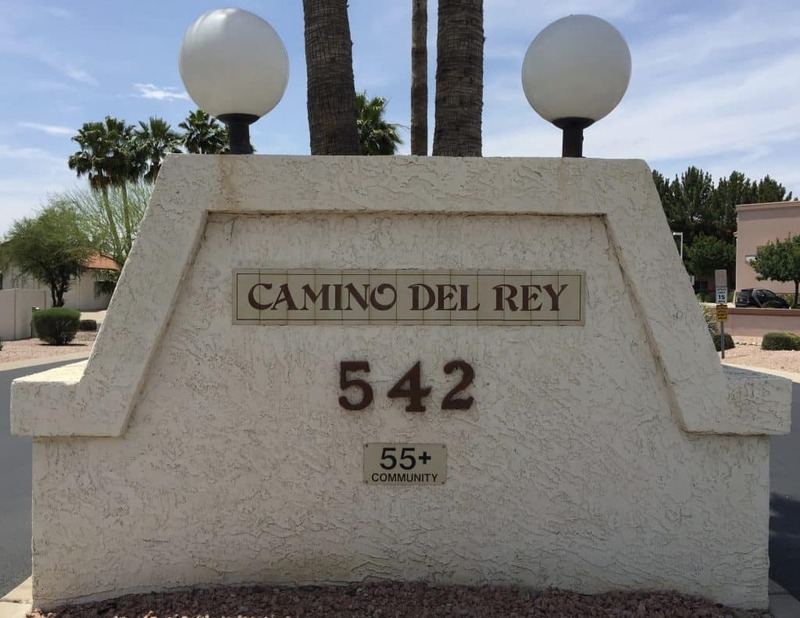 Camino Del Rey is a 55+ Patio Home Retirement Community in Mesa, Arizona. This affordable community is close to fine dining, shopping, several public golf courses and other numerous other outdoor sporting & social activities. Review community info, amenities, HOA fees and a current list of homes for sale. Front yard maintenance included With quarterly fee!